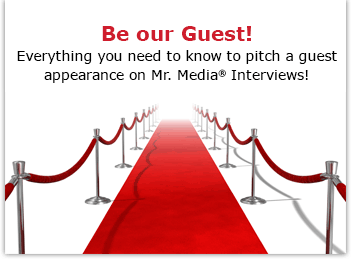 Mr. Media is recorded live before a studio audience that includes people who actually understand why a feed is called a “feed”… in the new new media capitol of the world… St. Petersburg, Florida! List Building for Bloggers interview with Feedblitz founder Phil Hollows! In the five years that Mr. Media has been presented as an online podcast – first in audio, now with video in many cases – I would say that my biggest ongoing headache has been understanding what a feed is, how it works and how to keep it healthy. A blog or website’s feed takes the usual content and repackages it in a way that it can be used for many other purposes. For example, you can subscribe to Mr. Media via its feed, which allows you to receive email or RSS updates. The feed lets us automatically send each episode to iTunes, Stitcher and the new, free Mr. Media mobile app for Android smartphones. It also shares the latest interviews like magic with dozen of social media services. 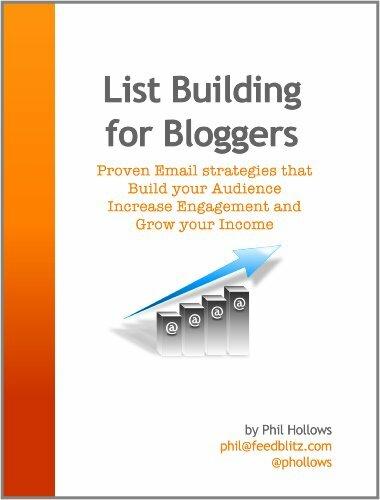 Click above to order List Building for Bloggers by Phil Hollows! But every couple of months I add a new feature or a new ad or a line of HTML code that makes the feed get angry. And you don’t want to see my feed when it’s angry. Fortunately, there are guys like Phil Hollows around to soothe its frustration. Phil is the founder of Feedblitz, a premium alternative to the free Feedburner service. A year or two ago, he read about my frustration on a Feedburner forum with that company’s ongoing lack of customer service and invited me to try Feedblitz. I did and I’m a very satisfied customer. And when we threw in the towel last month on Blogger and switched to WordPress, it was Phil Hollows who again was there to calm my nerves and guide me through correcting my latest feed mishaps. Phil, in addition to being a feed expert, is also an email marketing genius. He just published a new e-book, List Building for Bloggers: Proven Email Strategies that Build your Audience, Increase Engagement and Grow your Income. You can get it at ListBuildingForBloggers.com or on the Amazon Kindle. I thought the least I could do after all he’s done for me is help him pimp his book. Thank you for having me on the showm Bob! Small thing to do for all the great feed help you’ve provided, Phil! Good talk!